Ball-milled aluminum throttle pedal has spring-loaded pad like OEM design. Removable lower arm is splined for versatility in mounting to the right or left of the mounting bracket. Lokar's exclusive upper arm is a one-piece design. Shaft and arm are one piece, requiring no pins. 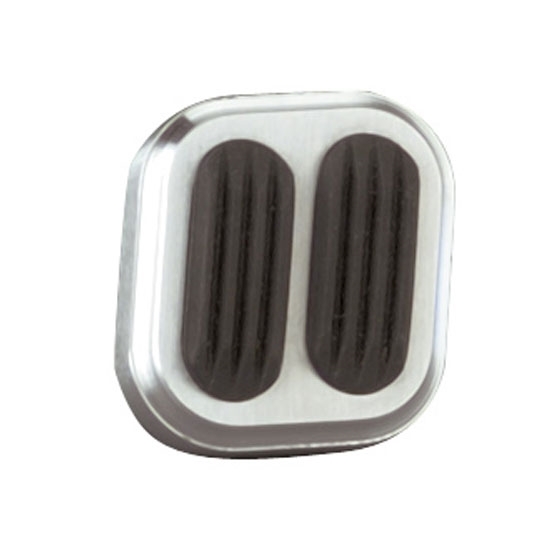 Matching brake pad is designed with 1/2 x 20 thread and includes a 1/2 x 20 stud in kit. Can be mounted centered or off center. Dimmer fits both Chevy and Ford.